Earn $69.19 in VIP credit (6919 points)What's This? 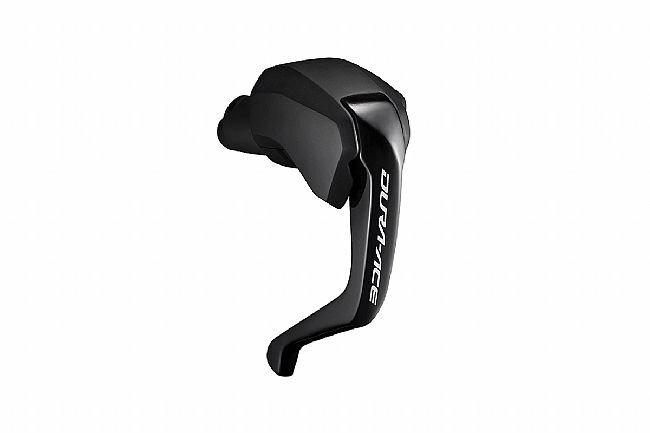 The Shimano ST-R9180 TT/Triathlon Hydraulic Levers bring Shimano's Dura-Ace Di2 shifting experience to hydraulic disc brake-equipped TT/Triathlon bikes. With its intuitive shifting control, a single customizable button on each side of the shift lever only works with synchro shift. This allows the rider to fit the R9180 levers into their riding style for a truly intuitive riding experience. Inside, the optimally balanced hydraulic system results in smooth, reliable braking for racing or training.